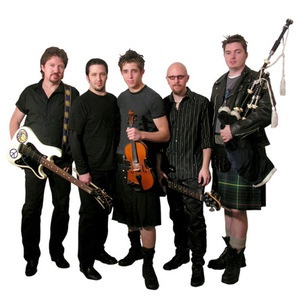 Blending soaring bagpipes and reeling Celtic fiddles with modern rock guitars, bass, and drums, Needfire offers a bracing & refreshing alternative to alternative rock. Needfire's high energy shows and original sound are praised by music fans of all ages and critics worldwide. "One of today's most popular Celtic rock bands" (WBKO TV- Bowling Green, KY); "...furious toe-tappers that owe as much to the Beatles as to Celtic music" (Ink 19); "...just at ease in the rock songs as in the ballads, Needfire is fresh and explosive!" (Highlands Magazine, France); ". .uplifting, invigorating" (Shotgun Reviews). Headlining festivals coast to coast, Texas-based Needfire invigorates vintage Irish and Scottish music with a rock & roll heart.